Working with curves inside DaVinci Resolve 15 can be a pretty daunting task, especially for novices who are just starting out. 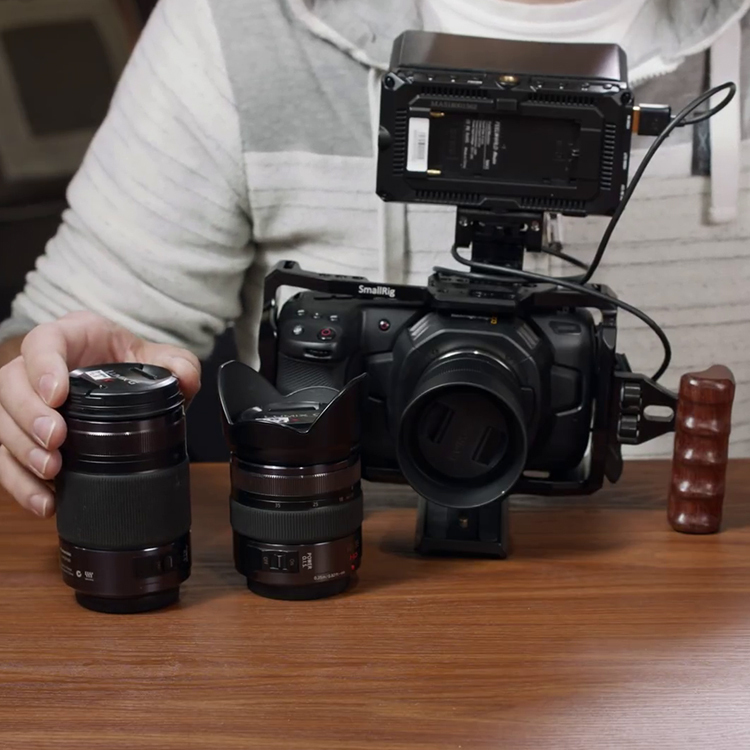 Due to the sensitive nature of the tool, it’s very common for some folks to accidentally take their adjustments too far, resulting in video that looks too unnatural and oversaturated. This effect is typically produced due to the way curves can affect the highlight and shadow roll-off. 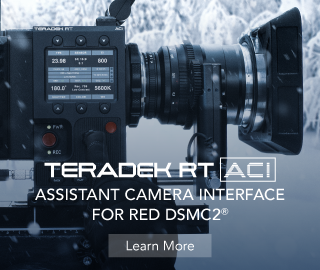 Interestingly, there is a tool inside of DaVinci Resolve that can help you tackle this issue by allowing some subtle micro adjustments that are more than enough to tweak your footage as precisely as possible. 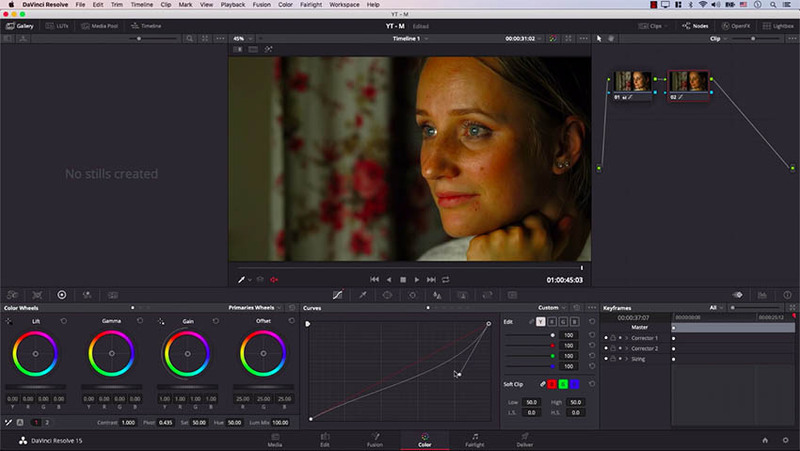 Seasoned colorist Alex Jordan of Learn Color Grading shows off this little trick in the video tutorial below. 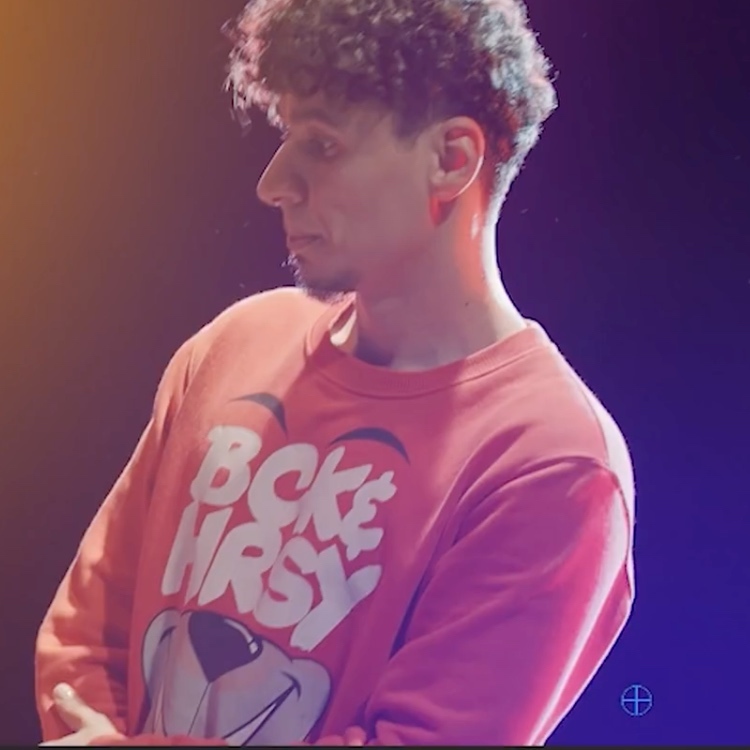 To enable this technique inside DaVinci Resolve 15, head over to the Curves tab. Then look for the horizontal ellipsis button (three dot button). In the drop-down menu, select the Editable Spline option. Now, by clicking on the top highlight control point, you’ll be presented with an additional spline control attached to the curve. As you can see in the video, this tool doesn’t affect the position of the point referring to the highlights, but rather the shape of the curve. 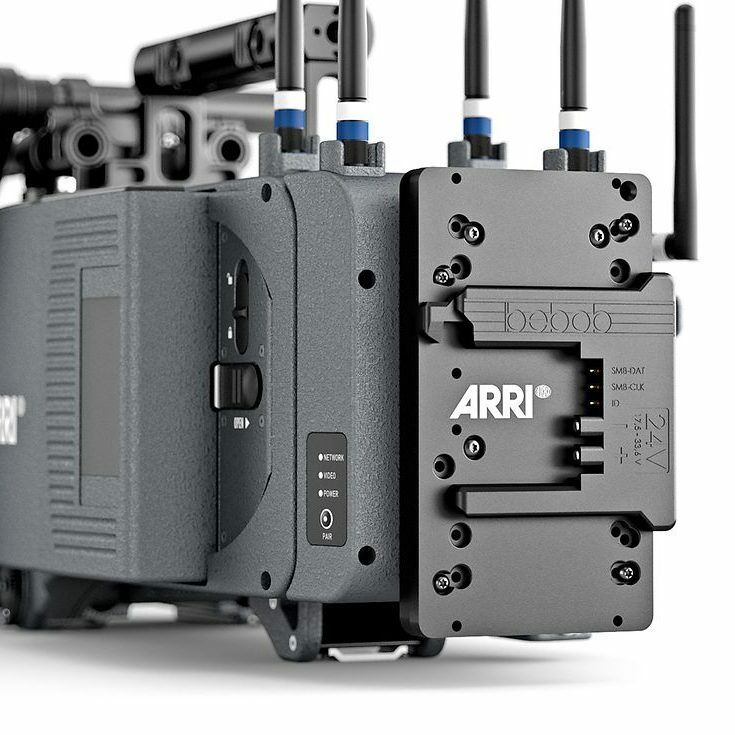 This functionality allows you to control the amount of highlight roll-off, thus maintaining a more natural look of the image. Likewise, you can utilize another spline to manipulate your shadows. If you select the shadow control point on the bottom left portion of the curve, a spline will allow you to alter the curvature, thereby affecting only the shadow roll-off. This tool is especially useful when color correcting/grading skin tones, wherein the colors on a subject’s face must be carefully treated to maintain a realistic aesthetic of the overall image. Also, if you’re working with 8-bit footage, pulling off proper roll-off is paramount to avoid off-putting visual defects such as banding and other unwanted artifacts. 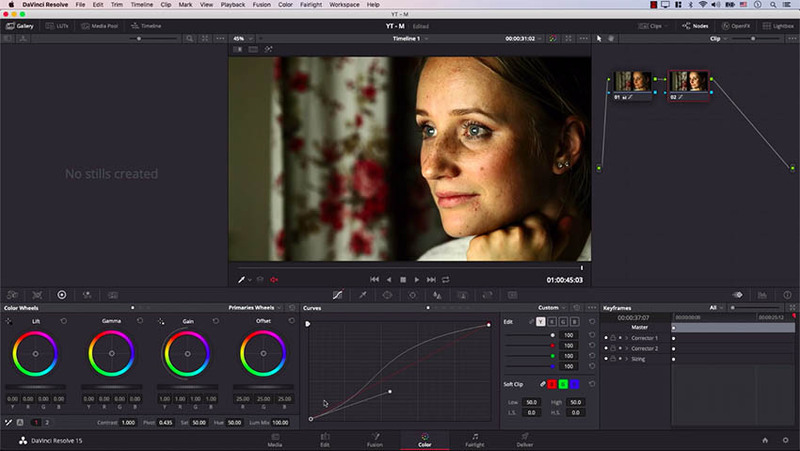 Meanwhile, if you find this trick useful, make sure to check out RGB Curves – Simplified Course produced by Alex Jordan, the founder of Learn Color Grading and Filmsiplified, where seasoned colorist digs deeper into the topic while sharing more useful tips and tricks regarding RGB Curves. Currently, you can get the course as a free gift with our Special Black Friday Resolve 15 Course Bundle. This year’s package includes DaVinci Resolve 15 Grading & Editing Courses, Fairlight 15 – Simplified, Fusion 15 – Simplified alongside Vivid Pro LUTs that provides more than 200 Stylistic LUTs. You’ll also get Color Matching Simplified, DaVinci Resolve Practice, and RGB Curves Simplified Courses as a free gift. Just make sure to enroll before Tuesday, 27th November (10pm Pacific Time) if you want to save yourself whopping 85% off the list price of all individual courses included with the offering that otherwise would cost you $697 to buy separately. 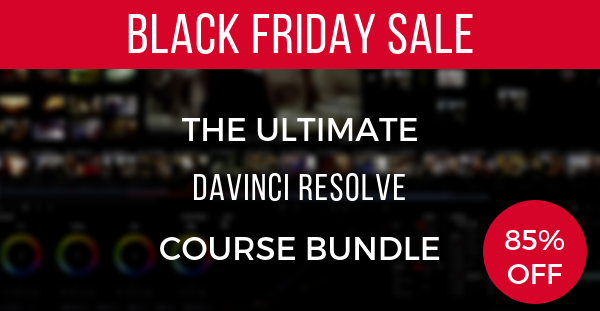 You can use our affiliate link and get the Special Black Friday Resolve Course Bundle for just $97.